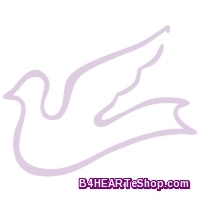 October | 2016 | B4HEART - Humanity Envisioned And Realized Together! Under a Hillary Clinton regime, President Barack Obama will replace deceased Associate Justice Antonin Scalia and Attorney General Loretta Lynch will replace soon-to-retire Associate Justice Ruth Bader Ginsburg on the Supreme Court of the United States, according to White House and Justice Department insiders. And you thought you’d almost seen the last of President Obama on the national stage. Think again. According to White House sources, Obama has confided to key insiders that the reason he chose to reside in Washington. D.C. after his second term, and not Hawaii as originally planned, is because Clinton has promised him the now open chair on the Supreme Court. Now it is starting to make sense why Obama never pushed back on Merrick Garland’s nomination rebuke by the GOP-controlled Senate. Obama nominated Garland to the Supreme Court after the mysterious death of Justice Scalia in early 2016. The Senate never even considered the nomination. The bigger surprise here is Lynch, who by many accounts has posted an even worse public record trampling the Constitution than Obama since she arrived in Washington D.C. Nonetheless, Lynch is more than just a strong rumor to replace Justice Ginsburg, according to Justice Department sources who spoke to True Pundit. Clinton has promised the job to Lynch, sources said, but the attorney general is still considering the offer. Will Lynch decline? Doubtful, Justice Department sources said. Obama and Lynch on the Supreme Court. For life. Talk about a stacked court. The question now is can either pass a Senate confirmation. Whoops, we forgot Republicans have no spine so passing confirmation hearings would likely prove a breeze, regardless of Obama and Lynch’s key and corrupt roles in keeping Clinton free from criminal charges in her blatant mishandling of government emails, classified and top secret intelligence. And then there’s the Clinton Foundation’s pay to-play scheme and cover up which would likely ensnare the FBI and Justice Department as certain accomplices. Lynch was promised the Supreme Court post in June or July, sources said, which would put the job offer right at the exact time the FBI concluded not to refer Clinton’s case to the Justice Department for criminal indictment. Coincidence? When can we expect to see FBI Director James Comey in a Supreme Court robe? Of course if Donald Trump wins the election in November, Clinton, Obama, Lynch and Comey might be retaining criminal defense attorneys instead of presiding over them. Hillary Clinton has often been accused of supporting open borders based on her policy stances. Despite ample evidence, both she and her defenders have denied that she is an advocate of open-borders. 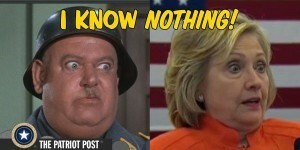 However, the latest WikiLeaks document dump, which includes damning excerpts from her paid speeches to various banks including Goldman Sachs, now removes all doubt as to her position on protecting America’s borders. In one excerpt from a speech to Italian bank Banco Itaú Clinton gave in May of 2013, the former Secretary of State explicitly talks of her support for “open trade and open borders”. Clinton earned $225,000 for the Banco Itaú speech according to her public disclosures. If there had been any doubt Clinton was soft on the border, that doubt should now be lifted. Chaffetz has not read the new documents, which include classified records that must be read in a security facility. But based on a briefing from staffers, Chaffetz said there are grounds for at least “four hearings” after the recess. Chaffetz, who is currently out of town campaigning, said allegations came from witnesses though there is some conflict in the record. Today the FBI released another 100 pages relating to its investigation of Hillary Clinton’s conduct as Secretary of State. Why it has taken so long for the agency to review, redact and publish a very small quantity of documents is inexplicable. Be that as it may, the documents released today are explosive. You may have seen headlines to the effect that Hillary’s State Department tried to pressure the FBI to say that various documents located on Hillary’s insecure home server were not classified. This was critical, obviously, because one of Hillary’s lines of defense was to claim, falsely, that she never sent or received classified documents on her off-the-books email system. Those headlines are correct, but to get the full impact you really have to see the relevant portions of the FBI investigation. Here they are; in all cases, click to enlarge. But first, a description. Following the all agency meeting, Undersecretary of State Kennedy renewed his effort to pressure the FBI to change its classification of the document in question. The FBI representative wouldn’t budge, so Kennedy asked who else at the agency he could talk to. The interviewee gave the name of Michael Steinbach. The interviewee then participated in a call with Kennedy and Steinbach, in which Kennedy “continued to pressure the FBI to change the classified markings on the email to unclassified.” Steinbach refused. What happened next is–deserves to be, anyway–a bombshell. Prior to ending the conversation, KENNEDY asked whether the FBI or STATE would conduct the public statements on the matter. STEINBACH advised KENNEDY that the FBI would not comment publicly on the matter. The conference call ended and, according to [ ], the Associated Press (AP) published the story within the hour. Former Secretary of State Clinton appeared in front of the press shortly thereafter to deny having sent classified emails on her private email server. Tagged New FBI files contain allegations of 'quid pro quo' in Clinton's emails--- changed classified email codes..., Obstruction of Justice! Felonies cited in Title 18 of the U.S. Code of the Espionage Act in sections 793, 798 and 1001. Experts say these could serve as the foundation for any criminal prosecution of Clinton or her aides. And, what about President Obama, He Too communicated back and forth to her unsecured e-mails at least a couple of times? Michael Savage Interviews Former Muslim Brotherhood Member. Hillary Clinton Committed Treason. She Belongs in Prison. It was known in May of 2016, and She is Still Running for President? Ironically our votes are counted on machines over in Spain, that are owned by George Sorros? NEW CLINTON FBI REVELATIONS: Lead FBI agent John Giacalone resigned in Feb 2016. Standard investigative tactics suspended. Agents blocked from serving search warrants to retrieve key evidence. Agents not allowed to interrogate witnesses and targets without warning. AND.. MUCH.. MORE.. VERY SPICY! This needs to be seen by all. The FBI case agents and support personnel are forbidden to “go public” or comment on the record to share their frustrations and dismay because they each signed an unprecedented confidentiality agreement prior to signing onto work the Clinton investigation. Violating that agreement would likely cost them their careers and pensions. A proffer. That is when a defense lawyer brings their client to talk directly to the government. It is the result of considerable negotiation and legal maneuvering prior the meeting, with defense lawyers ironing out permissible questions and ground rules for the interview with an alleged criminal target. Clinton’s lawyers knew the questions she would be asked before they stepped into the J. Edgar Hoover Building and could coach and rehearse her accordingly. The interview was a farce. FBI agents who toiled building this case were bewildered and angry. Abedin said she would then access those email accounts via webmail from an unclassified computer system at the State Dept. and print the documents, many of which were classified and top secret, from the largely unprotected webmail portals. Clinton did not have a computer in her office on Mahogany Row at the State Dept. so she was not able to read timely intelligence unless it was printed out for her, Abedin said. Abedin also said Clinton could not operate the secure State Dept. 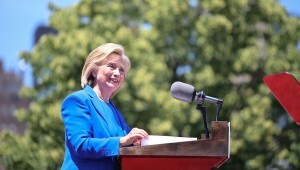 fax machine installed in her Chappaqua, NY home without assistance. Perhaps more alarming, none of the multiple FBI agents and Justice Department officials who conducted Abedin’s interview pressed her to further detail what were repeated and obvious violations of a host of federal laws. • The Red Chinese military (the so-called People’s Liberation Army, or PLA) is now able to deploy much more accurate nuclear-armed missiles pointed at the United States, in large measure because of policy decisions by President Clinton that have benefited campaign donors — including one who laundered money for the PLA. 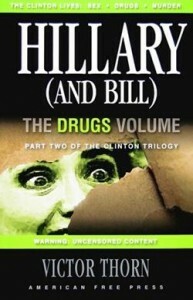 • In exchange for “hush money” paid to Webster Hubbell by the Red Chinese-connected Indonesian Lippo conglomerate, Bill Clinton personally sponsored the appointment of John Huang, a suspected Red Chinese agent, to a sensitive Commerce Department post, where, as Timperlake and Triplett note, “he could be a source of priceless military and economic intelligence” for Red China. Huang proved to be a particularly valuable asset in collecting intelligence on high technology, including satellite encryption technology that is vital to America’s defense — and highly coveted by the PLA. • Yah Lin “Charlie” Trie, a member of a Red Chinese-linked Triad criminal syndicate, laundered hundreds of thousands of dollars into both the Clinton-Gore campaign and the President’s legal defense trust. Following a $460,000 donation to the legal defense trust, Trie — acting as a courier on behalf of Red China — placed a “strategic memo in front of the President at a time of international crisis, resulting in a reply that changed a long-established element of foreign policy,” recall Timperlake and Triplett. Mr. Clinton’s reply to the memo signaled a decisive turn away from previous assurances to the free Chinese of Taiwan that the U.S. would defend them against aggression from Beijing. 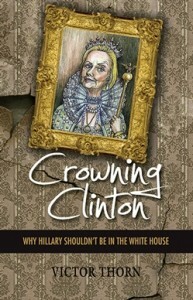 • On dozens of occasions, Mr. Clinton has refused to impose sanctions on Beijing for its export of military technologies to terrorist states, despite the fact that he is required by law — specifically, a law co-written by the senator whom he chose as his running mate, Al Gore — to impose sanctions. • The Administration has conferred prestige and status upon both the political and military leaders who ordered and carried out the Tiananmen Square massacre. PLA General Chi Haotian, who was in operational command of the troops who conducted the slaughter, and General Xu Huizi, who was in tactical command of the troops on-site, have been received in Washington, DC with full honors and allowed to tour sensitive U.S. military installations. For good measure, General Chi’s entourage included an official who had casually mentioned the possibility that Beijing might attack Los Angeles with nuclear weapons should the U.S. come to the aid of Taiwan after an invasion from the mainland. These are just a few of the ways in which Bill Clinton and his Administration have undercut our national security and enhanced Red China’s capacity to pursue aggression. 1. President Bill Clinton hosted over 100 campaign fundraisers in the White House, many with Chinese connections. 2. President Bill Clinton used John Huang, Charlie Trie, Johnny Chung, James Riady, and others with strong Chinese ties to raise campaign money. 3. President Bill Clinton signed waivers to allow his top campaign fundraiser’s aerospace company to transfer U.S. missile guidance technology to China. 4. President bill Clinton covered up the theft of our most valuable nuclear weapons technology. 5. President Bill Clinton lied to the American people over 130 times about our nation’s security while he knew Chinese missiles were aimed at American children. 6. President Bill Clinton single-handedly stopped the deployment of a national missile defense system, exposing every American life to a missile attack, leaving America with no defense whatsoever against an intercontinental ballistic missile. The official story can be read here. But what is the Real Reason? Wake Up America… The Truth Is About To Unfold! ‘What Happened to the ‘Rule of Law’? IT Is Time for a Special Investigation. WE MUST Separate the Obama/Clinton Absolute POWER! A powerful article from WSJ columnist Kumberly Strassel. The latest emails show that State and the foundation were one seamless entity. Hillary Clinton’s national finance director has emerged in newly released emails as what one watchdog called the “middle” man between her State Department and family foundation, sharing donor information with a top Clinton confidante when he was working at the foundation. He has managed to stay below the radar for years, but emails obtained by Citizens United in a Freedom of Information Act request show him working closely with Clinton aide Huma Abedin – particularly after leaving the department for the foundation. WASHINGTON (AP) — More than half the people outside the government who met with Hillary Clinton while she was secretary of state gave money – either personally or through companies or groups – to the Clinton Foundation. And that was only the first two years. We haven’t heard about the next two years YET! It’s an extraordinary proportion indicating her possible ethics challenges if elected president. USA Today is calling for the Clinton Foundation to close down and transfer its charitable work to other groups. “The only way to eliminate the odor surrounding the foundation is to wind it down and put it in mothballs, starting today, and transfer its important charitable work to another large American charity such as the Bill & Melinda Gates Foundation,” the newspaper’s editorial board wrote in a piece published late Wednesday. Ironically, the Democrats claim that Hillary had NO INTENT or REASON to Lie? Really? Why would Hillary LIE— AGAIN and Again? For starters— To Cover-up the Truth about Benghazi. 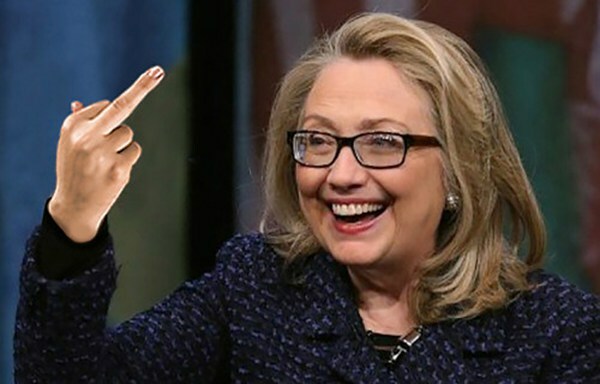 By Lying, She Stalled Any and All Investigations pertaining to her E-mails and her Criminal Activity. That is called Obstructing Justice. The Lies gave her Corrupt Staff, TIME to Wipe Her Servers Clean! There is Only One Way To Get To the Bottom of This and It Is Called the RICO Act. Who’s Ruining America? Career Politicians! How can we end being sabotaged by career politicians in Washington, D.C.? 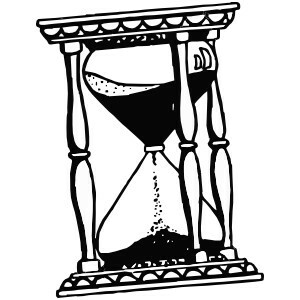 Term limits! We need Citizen Legislators, not Career Politicians. Through surrogates,* the International Banking and Monetary Cartel secretly finances the political campaigns of career politicians for the presidency and seats in Congress. *Surrogates: Jeffrey Katzenberg, Haim Saban, Sheldon Adelson, George Marcus, Ronald Perelman, Steven Silberstein, Benjamin Klein, Mark Epstein, Bernard Schwartz, Michael Bloomberg, Donald Sussman, George Soros. Republican chairman of the House Government Oversight Committee, Jason Chaffetz of Utah; confirmed that even he does not have a high enough security clearance to read the documents in full. The fact that portions of the FBI investigative file are heavily redacted and must be held and read by lawmakers in a secure facility on Capitol Hill shows how classified the material remains, despite claims made by the Clinton campaign. WASHINGTON, D.C. – Today, House Oversight and Government Reform Committee Chairman Jason Chaffetz (R-UT) and House Judiciary Committee Chairman Bob Goodlatte (R-VA) sent a letter to U.S. Attorney for the District of Columbia Channing Phillips identifying several examples where Secretary Hillary Clinton’s sworn testimony before Congress is incompatible with evidence collected during the Federal Bureau of Investigation’s (FBI) investigation into the Secretary’s private email server. The letter is in response to a Department of Justice letter sent to Chairmen Chaffetz and Goodlatte last week saying the department will “take appropriate action as necessary” on the Chairmen’s request for an investigation into the matter. “RAND PAUL: It has been in news reports that ships have been leaving from Libya and they might have weapons. What I would like to know, is the annex that was close by [in Benghazi]. 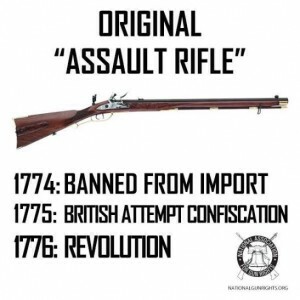 Were they involved with procuring, buying, selling, obtaining weapons, and were any of these weapons being transferred to other countries — to any countries, Turkey included. HILLARY CLINTON: Senator, you’ll have to direct that question to the agency that ran the annex. I will see what information is available. RAND PAUL: You’re saying you don’t know. HILLARY CLINTON: I do not now. I don’t have any information on that. A report that came out today acknowledged that the Federal Bureau of Investigations had wanted Justice to take up a Clinton Foundation probe. The Department of Justice declined to do so – noting that DOJ had looked into Hillary Clinton’s family foundation the year before. At that time there wasn’t enough evidence to open an investigation . The news that as investigation had been sought comes on the heels of the latest Clinton emails release from her time at the State Department. The new emails show a cozy relationship between the head of the Clinton Foundation and Hillary Clinton’s top aides. So what did Bill Clinton do, when he came to power in the White House? Just like the drug trading president before him, Freemason-Brother George Bush, he started a war against drugs(!). The interesting part is, though, that when different people have started talking about Clinton’s affairs, they have suddenly and mysteriously died. A Hillary Clinton quote from May, 2008 about the assassination of RFK; when asked to drop out of presidential race with Obama because she was so far behind. “My husband did not wrap up the nomination in 1992 until he won the California primary somewhere in the middle of June, right? We all remember Bobby Kennedy was assassinated in June in California. 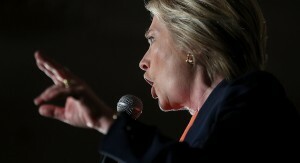 I don’t understand it,” she said, dismissing calls to drop out. The crowd in attendance in Omaha, NE; cheered on Clinton after the proclamation. Is WikiLeaks About To Destroy Hillary? Is “illegal alien” the proper term? Why Should You Care About Immigration? Documentarian Dinesh D’Souza analyzes the history of the Democratic Party and what he thinks are Hillary Clinton’s true motivations. Truth is akin to Cool as Both are Repulsive to the Un. 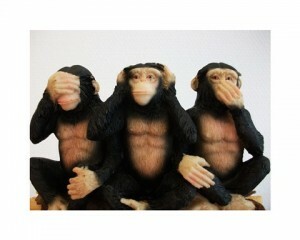 But, when Ignorance is Ignored; Stupidity is Justified! Vice President Biden’s Son Gets Ukrainian Oil Company Gig? Vice President Joe Biden’s youngest son Hunter Biden joined the board of directors of Ukraine’s largest oil company at a time that the U.S. is urging Ukraine to develop energy independence from Russia and just days after the vice president visited Ukraine. Conflict of interest? Just Imagine what Hillary Would Do If she becomes President! Vice President Joe Biden’s youngest son Hunter Biden was kicked out of the military after testing positive for cocaine…And, he Got an Honorable Discharge? When U.S. Representatives Michele Bachmann, Trent Franks, Louie Gohmertt, Tom Rooney and Lynn Westmoreland asked federal inspectors general if the fact that Huma Abedin, Hillary Clinton’s deputy chief of staff, has three close family members who were intimately connected to the Muslim Brotherhood might be affecting U.S. foreign policy, they were called “McCarthites” and “Islamophobes.” But as Frank Gaffney shows in this shocking pamphlet, it is actually worse than these members of Congress imagined. Abedin was herself deeply involved in Brotherhood organizations in the U.S. and she is, moreover, only one of many individuals with Islamist ties now working in sensitive government roles. Gaffney tells who they are, how they are making U.S. social and political institutions friendlier to Islamism, and how they may have tilted U.S. foreign policy in the Brotherhood’s direction. A slip of the tongue or his most brilliant political move yet? And once you see this shocking video you will understand exactly why. Political experts argue that Trump is preparing to “cash in” on one of the biggest events of 2016. And if he’s right, America will never be the same again. Click here to see what this is all about. 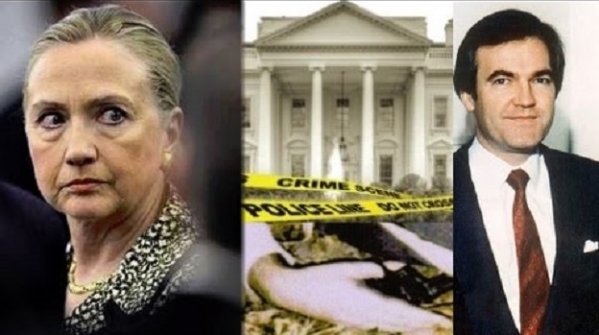 WIKILEAKS RELEASES: HILLARY CLINTON BODY COUNT SHOCKING LIST! Eagle One To Wanton: Finally, Two Corrupt Dynasties Exposed? Learn some history about the Bushes, the Clintons, Osama Bin Laden, President Obama and the Truth about The Federal Reserve. In July 1993, Ambassador Lee Wanta was arrested on his way to meet Vince Foster, chief white house deputy counsel, to give him a 250 million dollar donation for Hillary Clinton’s Children Defense Fund. Vince Foster allegedly commits suicide 10 days later. The 250 million dollars given to the Clintons is unaccounted for? Foster was found dead of an apparent gunshot wound to the head in Ft. Marcy Park. While the U.S. Park Police studied the body, Foster’s office at the White House was being looted. If there is just one video which MUST be viewed about the Clinton legacy, the YouTube below is it. Don’t take our word for it, just watch it. For only when a sufficient number of patriots have understood the true back stories to so many Clinton scandals and wrongdoings will they both be banned from public office … FOREVER! Posted in Hillary Clinton is A Career Criminal--- Just a few (25) of the scandals and lies and criminal activity of Hillary Clinton. One— paid for personally, out of President’s salary. Yep …. your eyes don’t deceive you. You want to read WASTE ? …. Scroll on down. Michele Obama’s personal staff: …….. Take a closer look. 5 staff are Muslim and 13 African-American. There has NEVER been anyone in the White House at any time who has created such an army of staffers whose sole duties are the facilitation of the First Lady’s social life. This does not include: “Makeup artist” Ingrid Grimes-Miles, 49, “First Hairstylist” Johnny Wright, 31, Both of whom traveled aboard Air Force One on all ALL Trips, Europe included. As of 11/15/2015 the Obama Family has spent over $1,300,000,000.00 (ONE BILLION, THREE HUNDRED MILLION DOLLARS) on personal family trips. They were personal, not political or Government related. How things have changed! If you’re one of the tens of millions of ~mericans facing certain destitution, earning less than subsistence wages stocking the shelves at Wal-Mart or serving up McDonald cheeseburgers, prepare to scream and then come to realize that the benefit package for these servants of “Ms. Michelle” are the same as members of the national security and defense departments and the bill for these assorted lackeys is paid by YOU. Copyright Canada Free Press: Yes …… The Canadian Free Press had to publish this, perhaps because America no longer has a free press and the USA media is too scared that they might be considered racist. Tagged (ONE BILLION, Michele Obama--- Queen Bee of Them All..., not political or Government related., THREE HUNDRED MILLION DOLLARS) on personal family trips. Is Wisconsin a Corporation or a State of the Union, Preventing Americans from Getting Over $30 Trillion Dollars? Is Wisconsin a Corporation or a State of the Union? Is Scott Walker the duly elected public governor of the state of Wisconsin or is he CEO of a privately-held corporation he has registered? I wonder if Paul Ryan knows the answer? Perhaps that is the reason that Speaker of the U.S. House of Representatives Paul Ryan WON’t Support Donald Trump anymore! It is All Starting to Make Sense— NOW! Alas, President Ronald Reagan had a Secret Plan; a Secret Agent on a Secret Mission. 31.2 trillion dollars! If you have not heard the name Lee Wanta before , you will soon. His authorized biography will shake the world and change history. Lee Wanta, is 31.2 trillion dollar man. 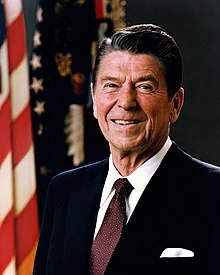 President Reagan and his Secret Agent Ambassador Lee Emil Wanta masterminded a creative way to financially take down the economy of the Soviet Union (Evil Empire) without firing a single shot. The 32.1 trillion he amassed in the process has finally been recovered and accounted for after it was hijacked by the a criminal non-Government organization known as the Federal Reserve and the Corporate State of Wisconsin. Unfortunately, the state of Wisconsin is Standing in the Way? Controversial and true with hundreds of documents included to support this compelling true story. Intel disclosed today that can change an entire election and the financial future of our country and the world as it will Wipe Out— Our 19 Trillion Dollar National Debt. Eagle One To Wanton: Finally, Two Corrupt Dynasties Exposed? Learn some history about the Bushes, the Clintons, Osama Bin Laden, President Obama and the Truth about The Federal Reserve. In July 1993, Ambassador Lee Wanta was arrested on his way to meet Vince Foster, chief white house deputy counsel, to give him a 250 million dollar donation for Hillary Clinton’s Children Defense Fund. Vince Foster allegedly commits suicide 10 days later. The 250 million dollars given to the Clintons is unaccounted for? Foster was found dead of an apparent gunshot wound to the head in Ft. Marcy Park. While the U.S. Park Police studied the body, Foster’s office at the White House was being looted. Ambassador Lee Wanta will also reveal information on Hillary Clinton’s dealings involving the Clinton Foundation while she was Secretary of State. the term “official act” means any decision or action on any question, matter, cause, suit, proceeding or controversy, which may at any time be pending, or which may by law be brought before any public official, in such official’s official capacity, or in such official’s place of trust or profit. To read the whole section click here. The biography provides in-depth information about how the lawless and non-governmental Federal Reserve System and the Corporation State of Wisconsin seized his personal funds (Alford Plea June 10th 1994 Exhibit K see below), through criminal and corrupt activities operated by a sophisticated system of Puppet Masters. It shows how articles published by well- known Wall Street Journal Editorial Board member Holman W. Jenkins were inaccurate regarding Lee Wanta, who at the time was serving as a Sheriff’s Department “deep cover investigator” of Falls Vending Services, Inc. a Wisconsin corporation owned and operated by Jerome Engle, also AKA Jerry S. Engel, who was linked in with the assassination of JFK and Bobby Kennedy under an operation secretly called Elm Street. Also the biography addresses the false accusations written about Lee in the book” Thieves World” influenced by Assistant FBI Director Jim Moody published by Simon and Schuster, New York. 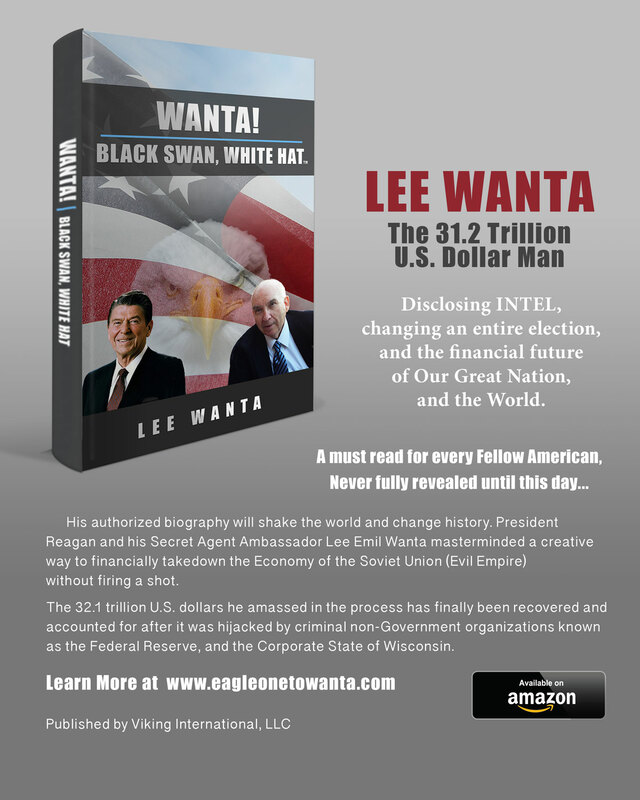 The biography helps dispel any doubts as to who Lee Wanta really is, about the $31.2 trillion he controls now, and what his goals and Mandate is from President Reagan too help our country rid itself of continuing political corruption and return us back to a strong financial footing again as a world leader. The author of the biography is Lee Wanta himself, and has been edited by Lon Gibby, and published by Viking International, LLC. 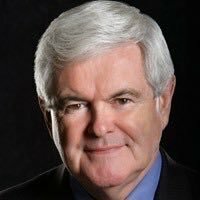 To follow-up the biography, a feature film documentary entitled Eagle One to Wanta is in full production by Gibby Media Group, Inc. to be completed and released in 2016 in time well before the U.S Presidential election.www.eagleonetowanta.com. Ambassador Lee E. Wanta’s timely biography helps clear up some of this confusion and restores hope that we can get our nation back in line with our Constitution, We the People and by the People. Lon Gibby at 509-467-1113 lon@gibbymedia.com CEO Gibby Media Group, Inc.
FEDERAL LAW , Title 18. Section 2071. Sound Familiar? What Happened to Separation of Powers? 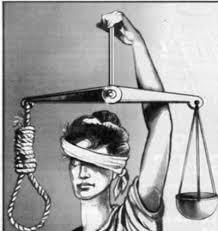 Is Justice Blind in Regards to the Chosen Few? Is the FBI, the Department of Justice and Congress Powerless? Posted in Is Wisconsin a Corporation or a State of the Union--- Preventing Americans from Getting Over $30 Trillion Dollars? Tagged Is Wisconsin a Corporation or a State of the Union, Preventing Americans from Getting over $30 Trillion Dollars? This article by Lisa Guliani was published on this Serendipity website sometime prior to February 2004. This is proven by the page as archived on the Wayback Machine. This article has also been published on many other websites. Someone using the name “Reality Bytes” published (no earlier than 2010) a ripoff of this article on The Hub under the title The Corporation Of The United States Of America Is It True? We Are Not Under Common Law?. This person is now claiming copyright infringement. This is laughable. “Reality Bytes” is a blatant plagiarizer, as shown by the textual comparisons below. Note added in 2014: “Reality Bytes”, perhaps as a result of his plagiarism being exposed by this page, replaced his rip-off of Lisa Guliani’s article by a different article — though whether that is also a ripoff of someone else’s article can’t be known without further research, which we can’t be bothered to do. I refer you to the UNITED STATES CODE (note the capitalization, indicating the corporation, not the Republic) Title 28 3002 (15) (A) (B) (C). 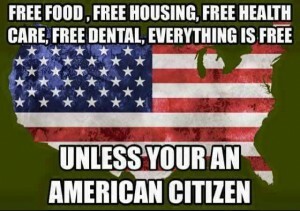 It is stated unequivocally that the UNITED STATES is a corporation [see note]. Realize, too, that the corporation is not a separate and distinct entity from the government. It IS the government. 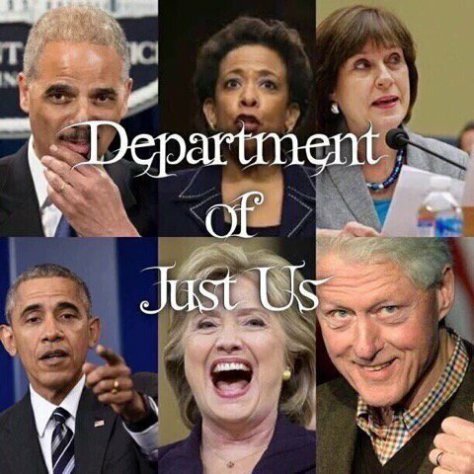 YOUR government. This is extremely important. I refer to this as the “corporate empire of the UNITED STATES,” which operates under Roman Civil Law outside of the Constitution. How do you like being ruled by a cheesy, sleazy corporation? You’ll ask your Congressperson about this, you say? HA!! Note that (B) and (C) refer to (A), so basically, in the American legal code the “United States” is a federal corporation, not a country. I don’t know, and neither do you, whether we are perhaps dealing with a malevolent, artificially intelligent machine monstrosity or an actual demonic entity known as the “United States”, that is intricately protected by a fiendishly wicked government and body of so-called law that is not at all what it appears to be, because when you start to dig and examine what the “United States” really is, you run into blind alleys, nonsensical information, misdirection, reams and reams of legal weasel words and documents that mean something completely other than what they appear to mean, and one false façade after another that completely contradicts what we were all taught to believe is real and true. Ed Lewis: Who’s the boss in America? Who Is The Rothschild Family? What Is The History Of The Rothschild Empire? The Prison Industrial Complex: Does It Create A New Form Of Slavery? How Much Labor Is Done In The Prison System? Are The Income Tax Laws Legal? Is It Mandatory To File A Return In The United States? What Is A Ponzi Scheme? How To Avoid Being A Victim! Should I Represent My Self In Court? How Do I Prepare Myself For My Case? Tagged The United States Isn't a Country — It's a Corporation? Tagged "EXCLUSIVE: FBI Used Agents As Pawns To Insulate Hillary, Aides & Clinton Foundation From Prosecutions..."